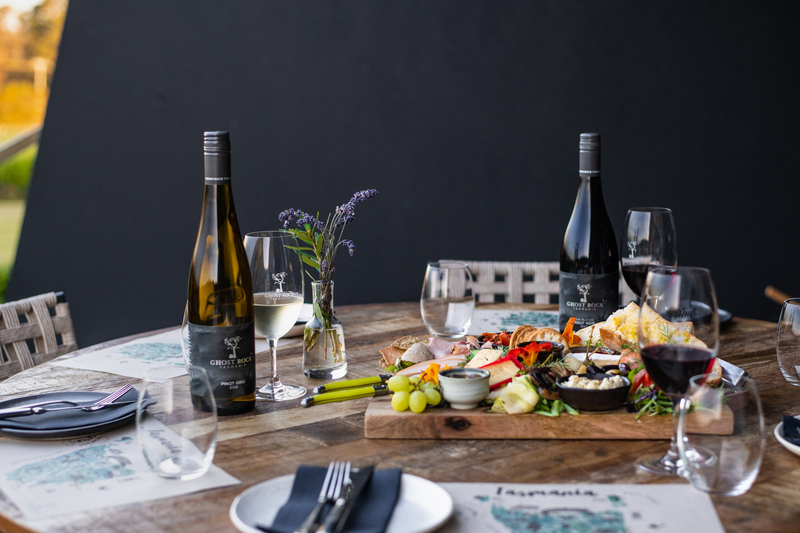 Our Cellar Door & Eatery offers complimentary wine tastings, wine sales and wholesome, rustic lunches featuring local Tasmanian produce. The Cellar Door & Eatery overlooks our Clairdown vineyard, with stunning views over the rolling patchwork hills surrounding the winery and Bass Strait. It's literally a hideaway where you can wine away the hours. Located just 10min from the Spirit of Tasmania termnial and one hour from Cradle Mountain, its the perfect spot to drop into whilst visiting the Cradle Coast region. Offering both indoor and outdoor seating, the choice is yours where you wish to take up a position and soak up the stunning views. 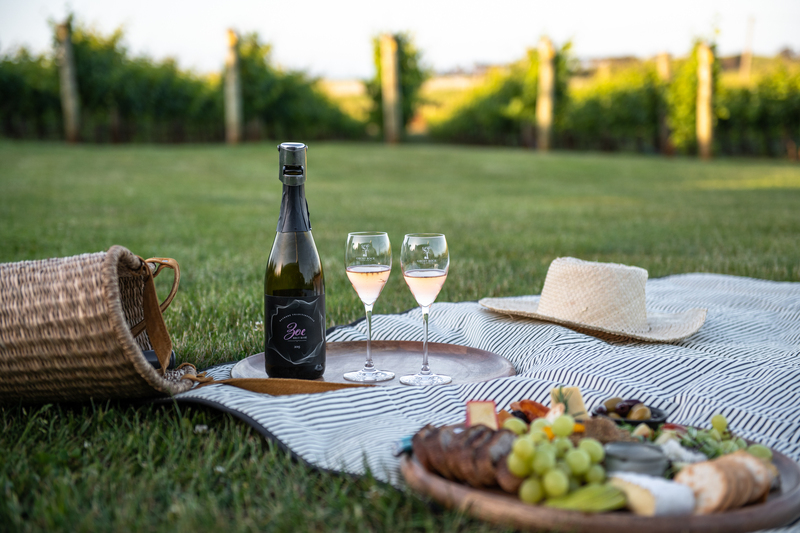 Ghost Rock is a family friendly winery - the Cellar Door & Eatery is surrounded by sprawling green lawns incorporating casual eating spaces, a kid’s playground and plenty of space for little totts to run and play. Our cellar door is open 7 days a week, 11am to 5pm. Bookings for lunch, a tasting, or cellar door events can be done by calling our cellar door team on (03) 6428 4005, emailing mail@ghostrock.com.au or contacting us. To avoid disappointment, we recommend booking, particularly over the Friday - Sunday period when we are at our busiest. 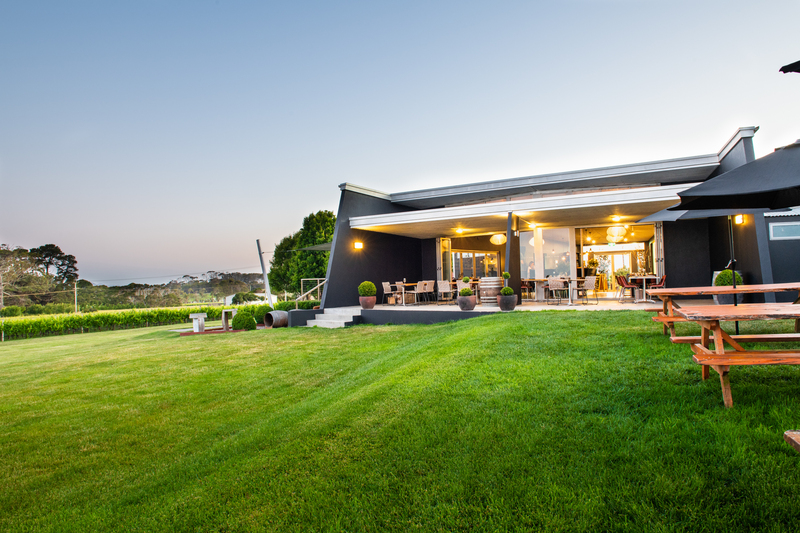 Cellar door hosts a range of events throughout the year. For more information, visit our Events page. Here on the far North coast of Tasmania, we are surrounded by a plethora of amazing produce from salmon to honey, cheese, chocolate, apples, olives... the list goes on. So, we've handpicked some of our favourite artisan produce, and featured it throughout our menu, as we think it goes wonderfully with our award winning, cool climate wines.